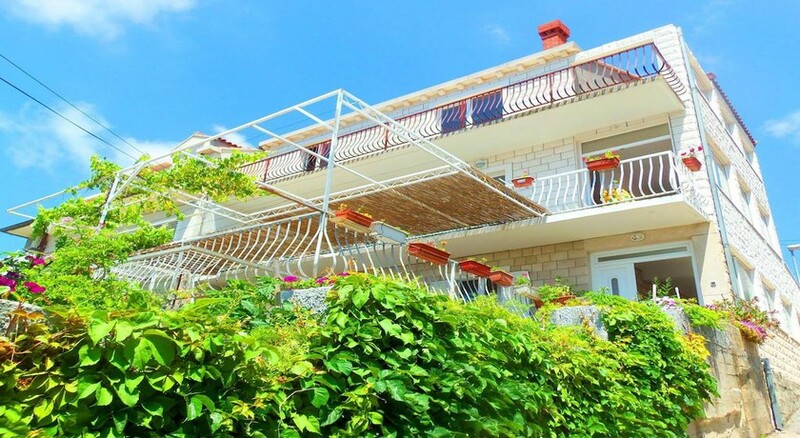 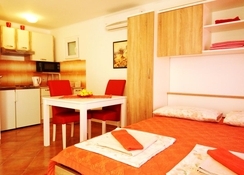 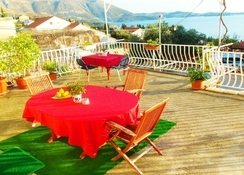 The apartment complex is situated in small town of Mlini near famous Dubrovnik and charming- historic town Cavtat.Mlini is a picturesque village well known by its beautiful beaches and the promenades along the sea. 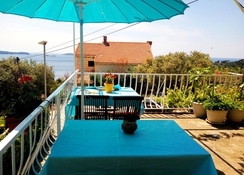 Surrounded by typical Mediterranean greenery- facing the sea this house offers a grate place for relax and leisure.The house consists of studio and one bedroom apartments decorated in warm Mediterranean stile. 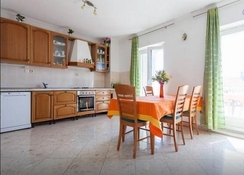 Each apartment consists of private en suite bathroom- fully equipped kitchen in addition to a lovely terrace.All apartments feature: air condition- Sat-TV and Wi-Fi.Bed linen and towels are provided.In front of the house there are several parking lots.